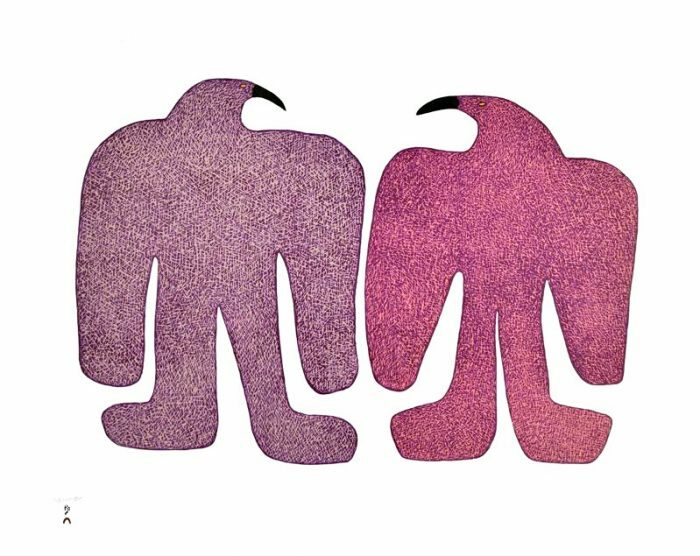 Image: Saimaiyu Akesuk, Courting Birds, 2015, stonecut and stencil on Washi (Japanese paper), edition of 50, paper size: 31″ x 24.5″. Dorset Fine Arts was established in Toronto in 1978 as the wholesale marketing division of the West Baffin Eskimo Co-operative. The Co-operative in Cape Dorset, Nunavut, is distinctive among Arctic Co-operatives because of its focus on artists in the community and their creative endeavours. 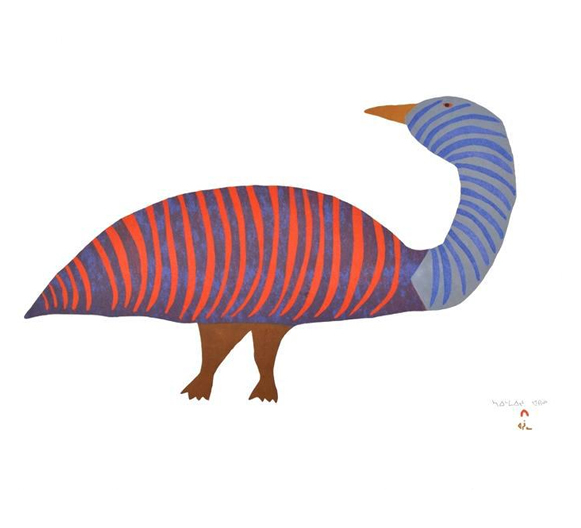 Currently, we are promoting the sale of Cape Dorset prints in the Open Studio Shop. To view a selection of DFA prints in our collection, please click the button below. You are also welcome to schedule a one-on-one consultation with our Sales & Archive Manager, Rebecca Travis, if you are interested in seeing more. You can email rebecca@openstudio.ca or call 416-504-8238 to schedule an appointment. Image: Saimaiyu Akesuk, Striped Goose, 2014, stonecut and stencil on Washi (Japanese paper), edition of 50, paper size: 23.25″ x 28″.